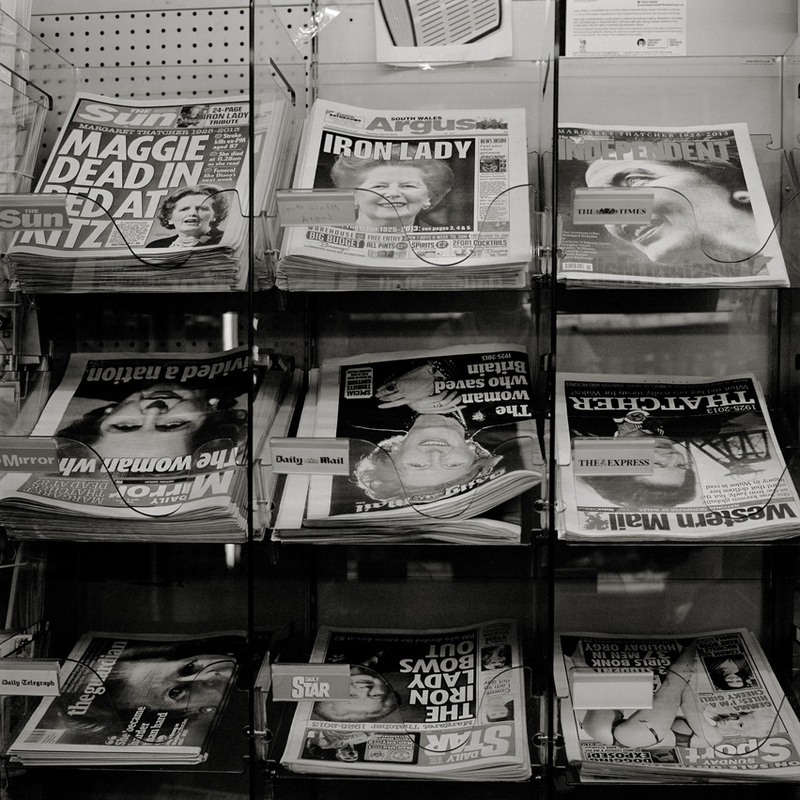 Front pages at a news stand in Newport show portraits of Margaret Thatcher, the Tory prime minister of Great Britain from 1979 - 1990 who passed away on April 8, 2013. Known as "The Iron Lady" her policy led to the defeat of the Miners' Strike 1984/85 and eventually to the privatisation and closure of the coal mines. 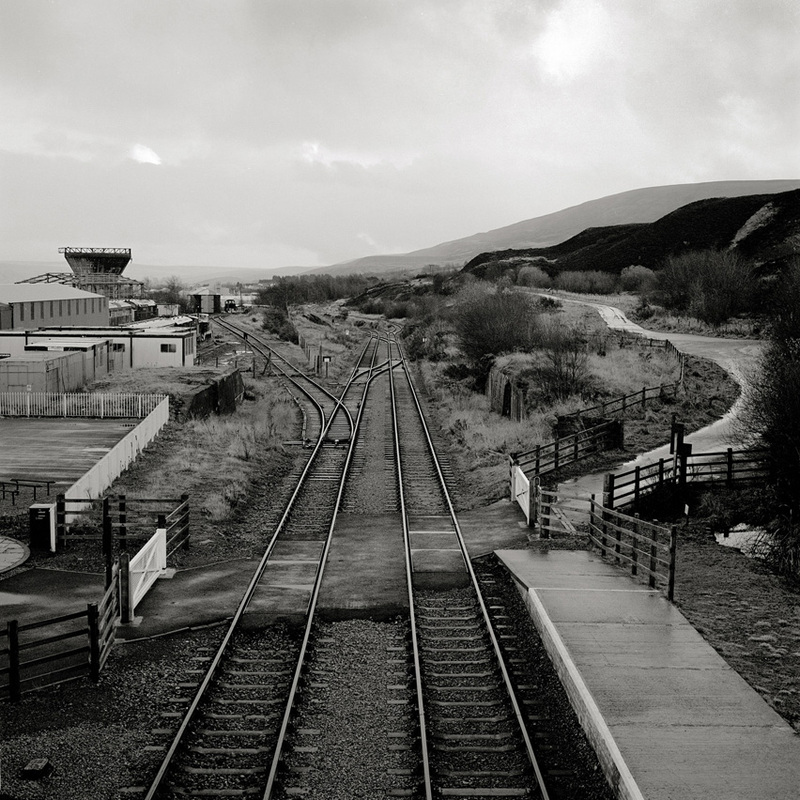 Landscape near Blaenavon, Wales, an area with a reserve around 30 years and more of coal. 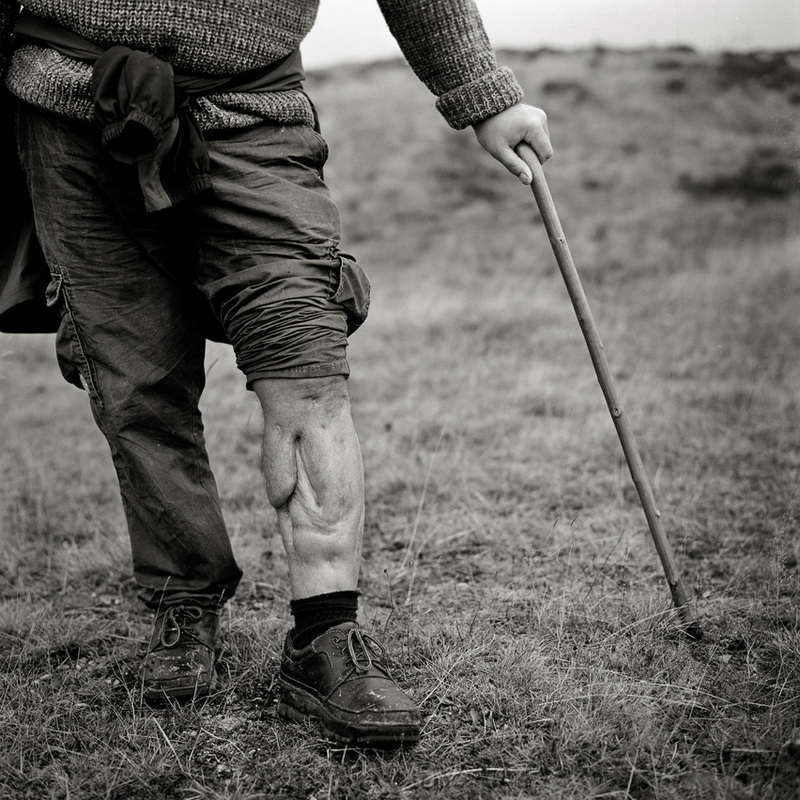 Brandon Cripps, a former collier shows his leg in Bleanavon, Wales, which was severely injured while fixing a slag heap in 2005 (!) as a fuel bowser went over it. The winding mill marks the former colliery "Big Pit" which is now being used as the National Coal Mining Museum in Bleanavon, Wales. 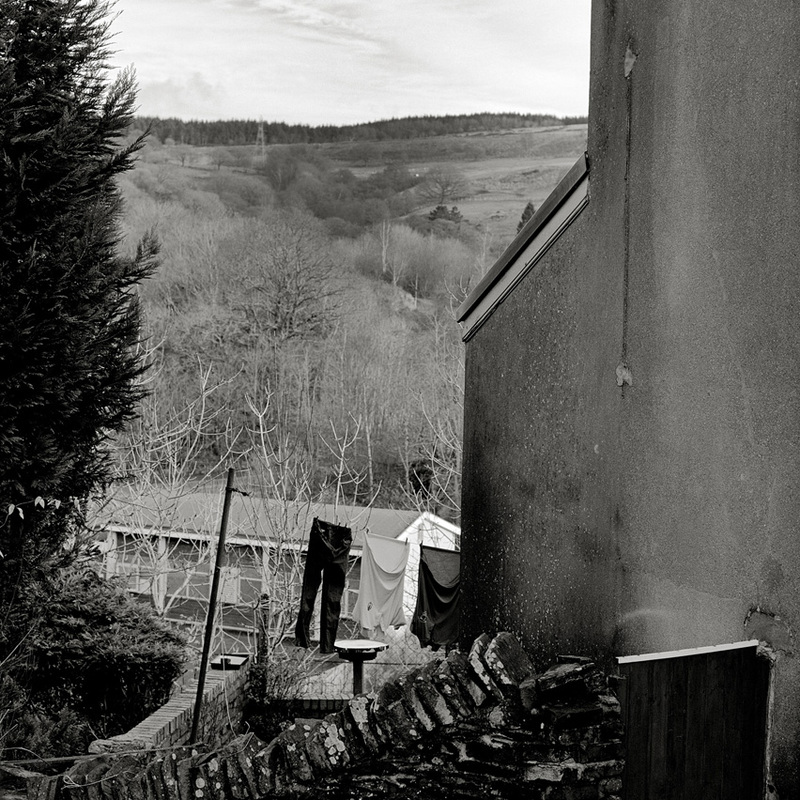 Gordon Morgan, a former collier, aged 77, poses for a portrait in Maerdy, Rhondda Valleys, Wales. After the closure he worked in a local factory. He says, it was like "toytown". 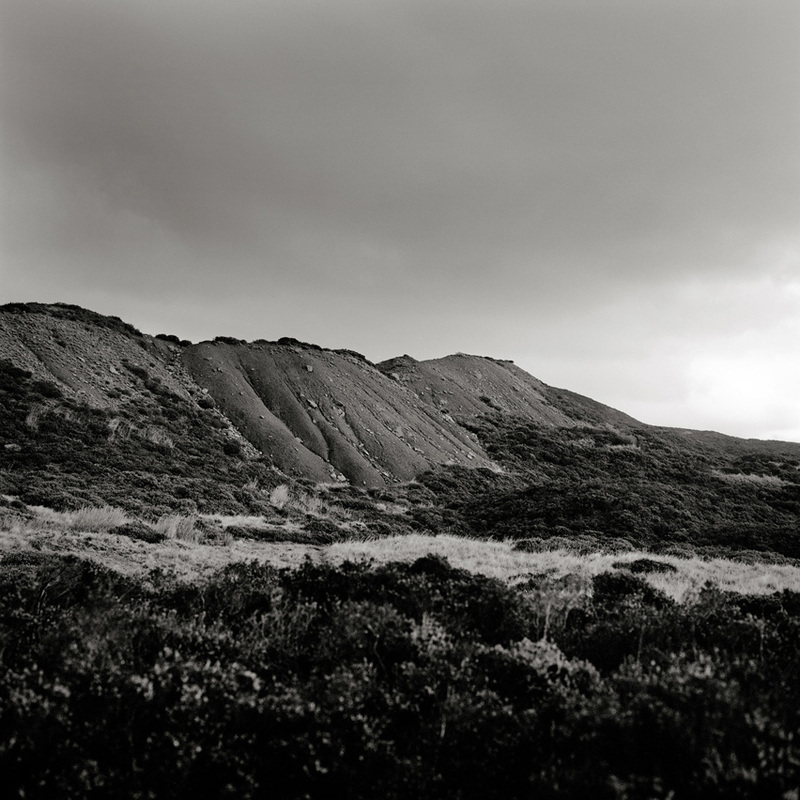 The slag heap, Coity Tip, used for the unusable coal extracted from the Big Pit near Blaenavon, Wales now barely wears a trace its coal legacy, and is overtaken by nature. Overview on Treorchy, the biggest community in the Rhondda Valleys, Wales. 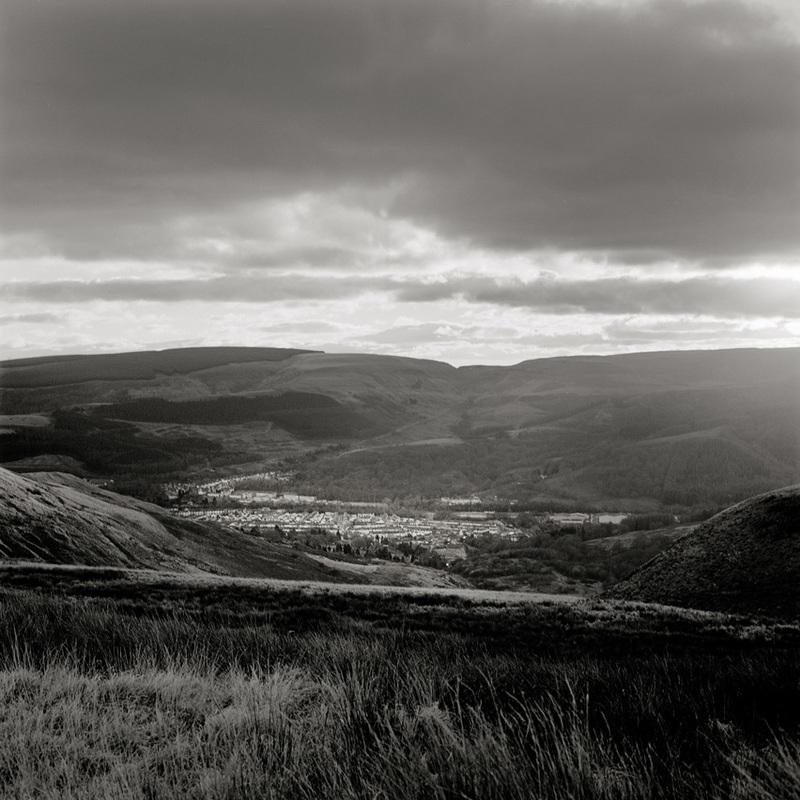 The Rhondda Valleys, once the centre of Welsh economy are now almost vanished in memory outside the country. 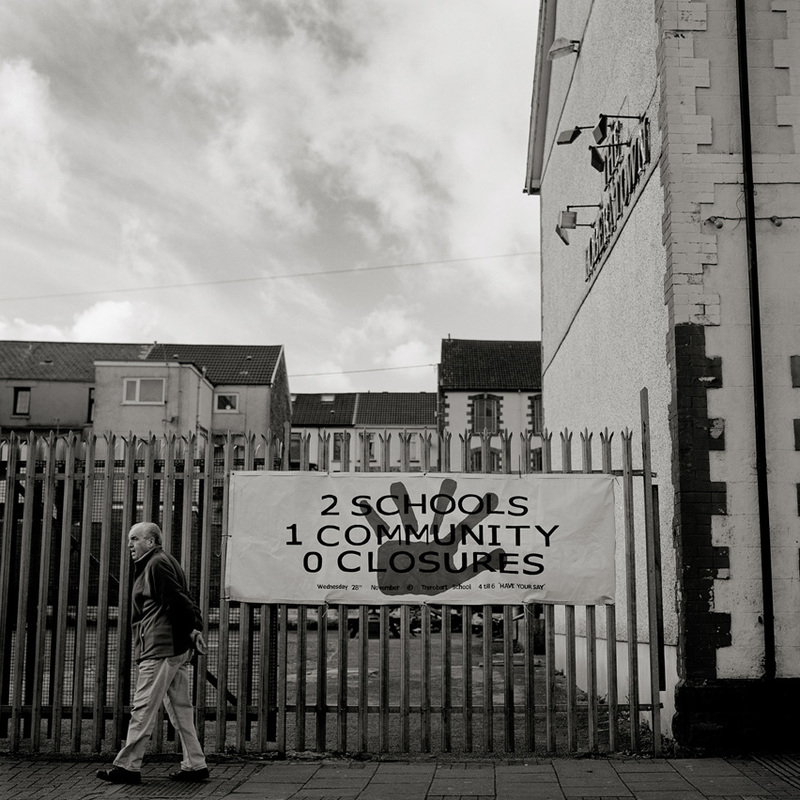 An elderly man passes a sign which reads "2 schools, 1 community, 0 closures" in Ynysybwl, Wales as a campaign against the planned closure of one of the schools in the community. Ynysybwl, once home to the large Lady Windsor Colliery, which was closed down in 1988 was hit by the recession. "Young people leave for the cities, retired people come back to leave silent and next to the nature" says Wayne Cadwallader, a former miner from the town. 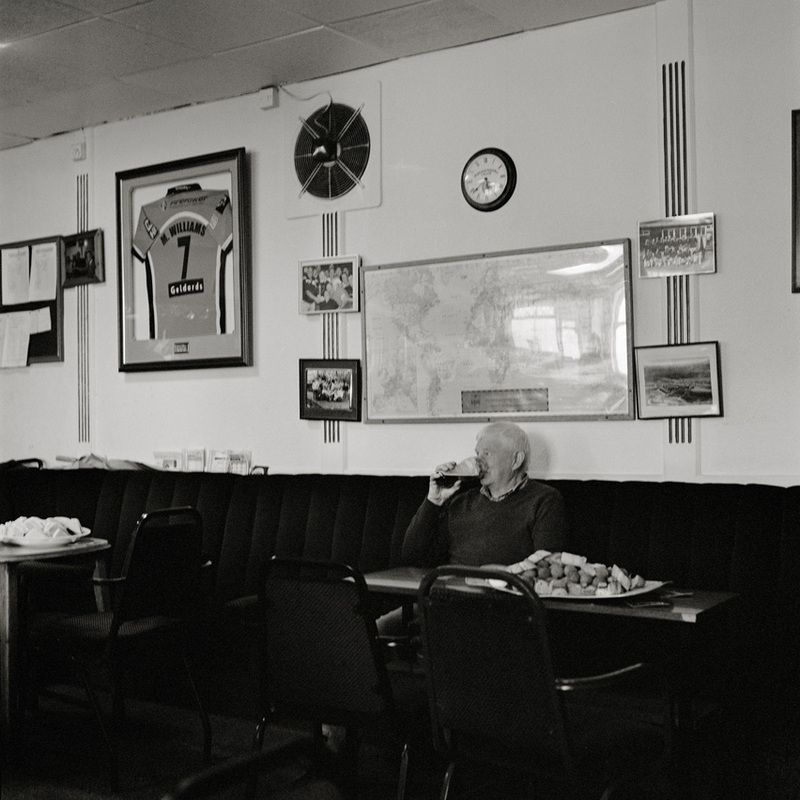 Frames hanging on the wall of the "Maerdy Hotel" pub in Maerdy, Rhondda Valleys, Wales hint to the coal legacy of the area. The frame in the middle shows the Alan Ivor Williams, the former chairman of the Maerdy Lodge in the National Union of Mineworkers. 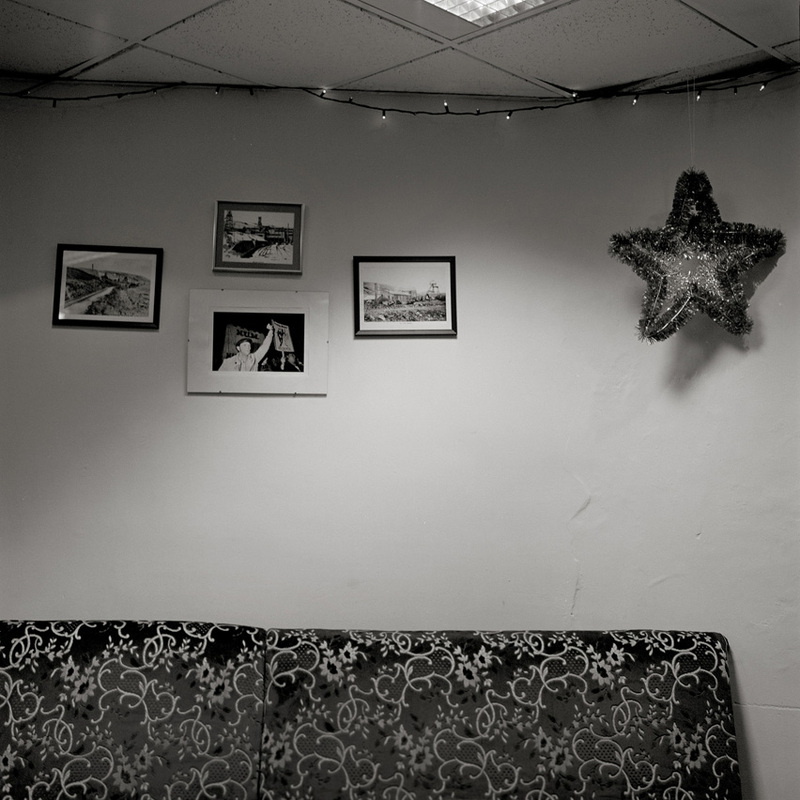 Maerdy Social Club, Maerdy, Rhondda Valleys. 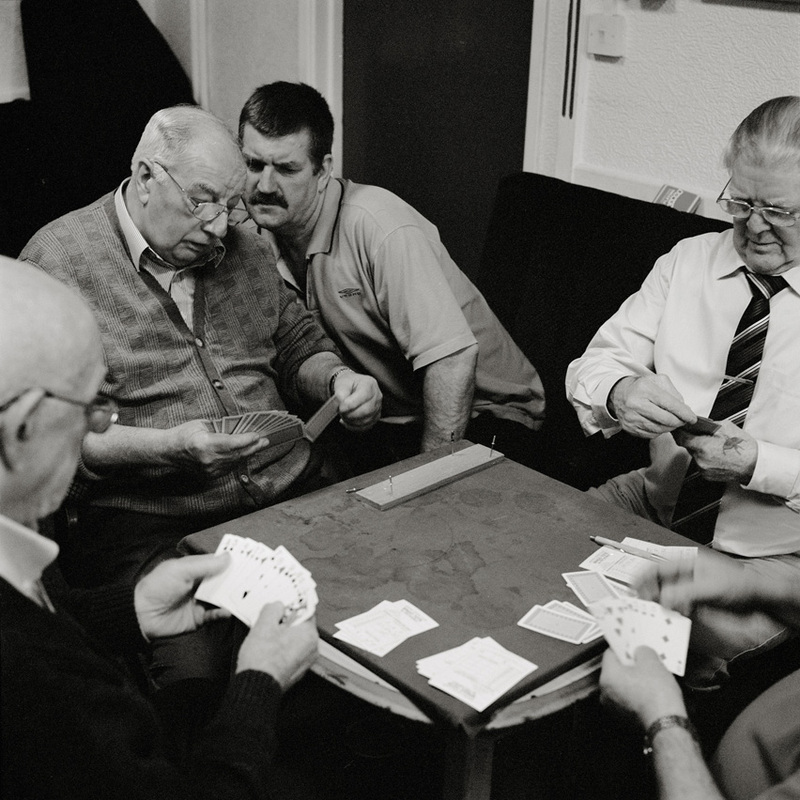 Paul C. , nicknamed "Sir Howey" a former collier, aged 50, shows his backside in the Maerdy Social Club, Rhondda Valleys, Wales, which was tattooed with an eye on each cheek during his time as a miner in the Maerdy Colliery. He now works as an entrepreneur in Newport. 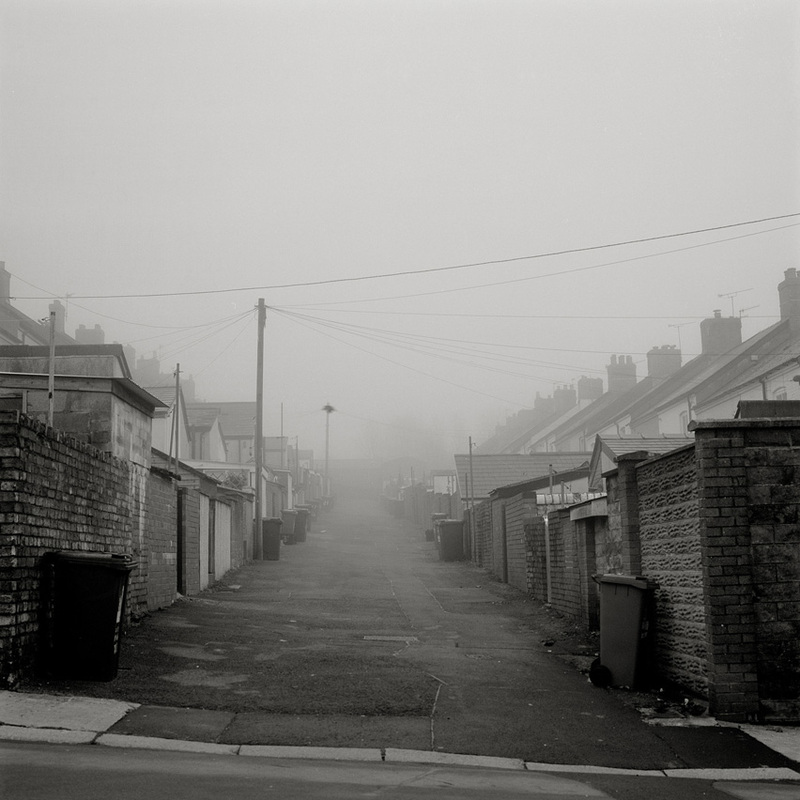 View into a foggy street featuring terraced houses in Bleanavon, Wales. 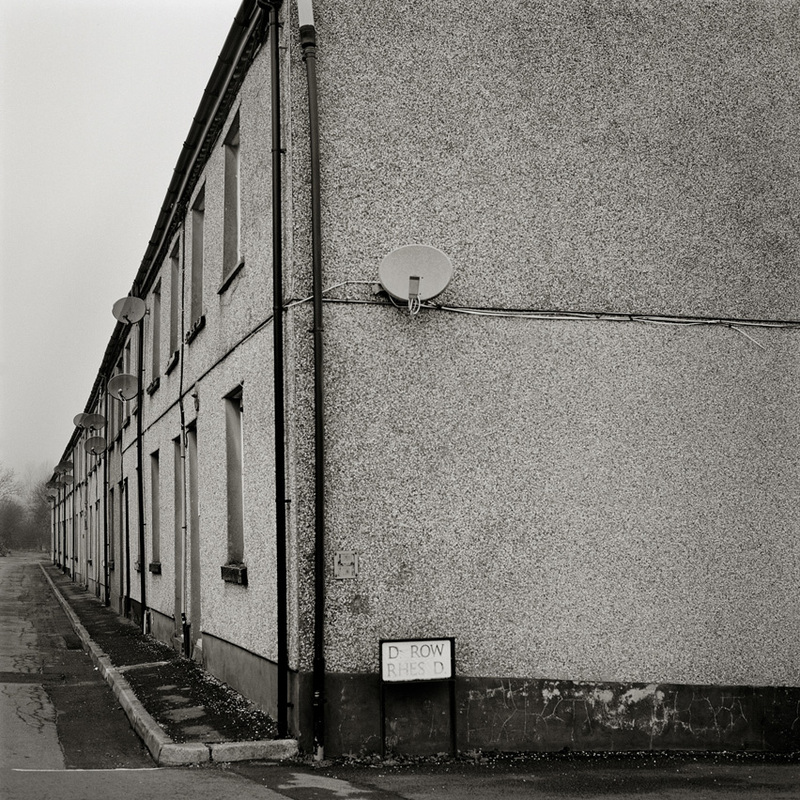 Once a mining hub in South Wales, now a negligible community. 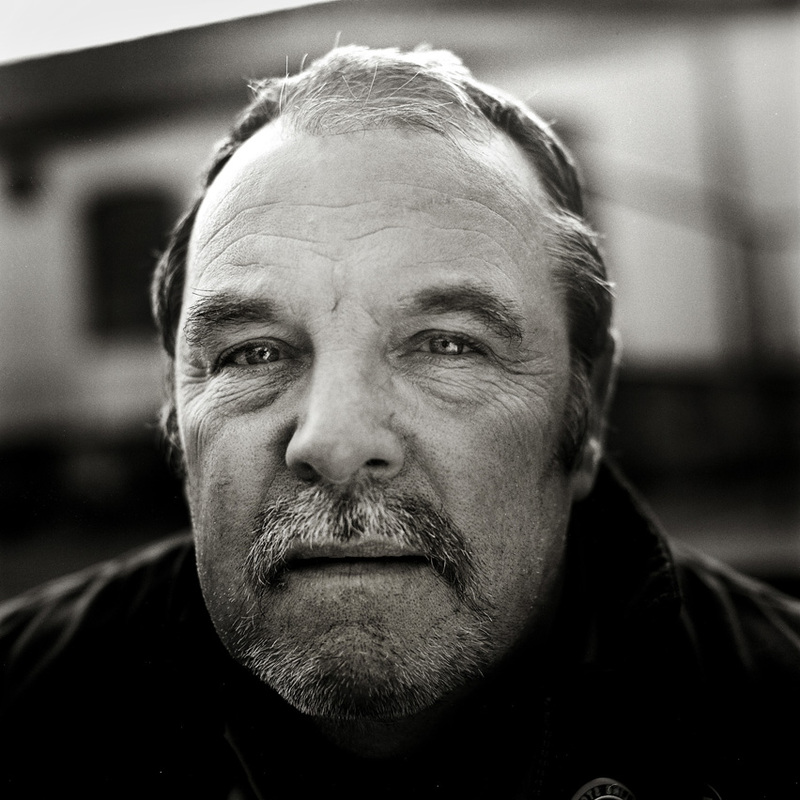 Gerald Goodway, nicknamed "Barlow" a former miner, aged 58, poses for a portrait in Blanaevon, Wales. 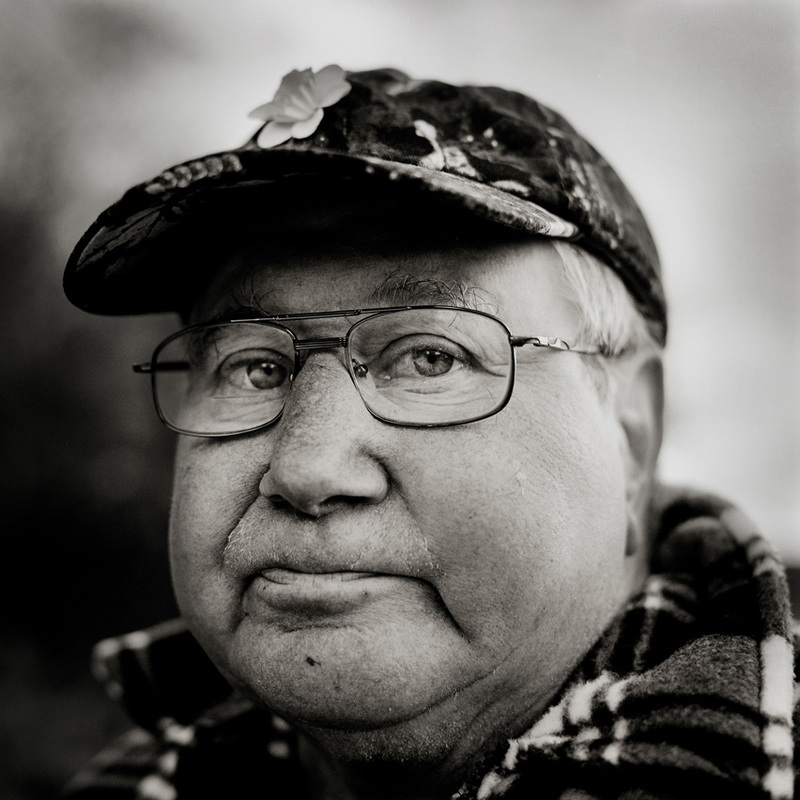 He remembers mining as "hard work, but mostly enoyable." and now works as a guide in the National Coal Mining Musuem. 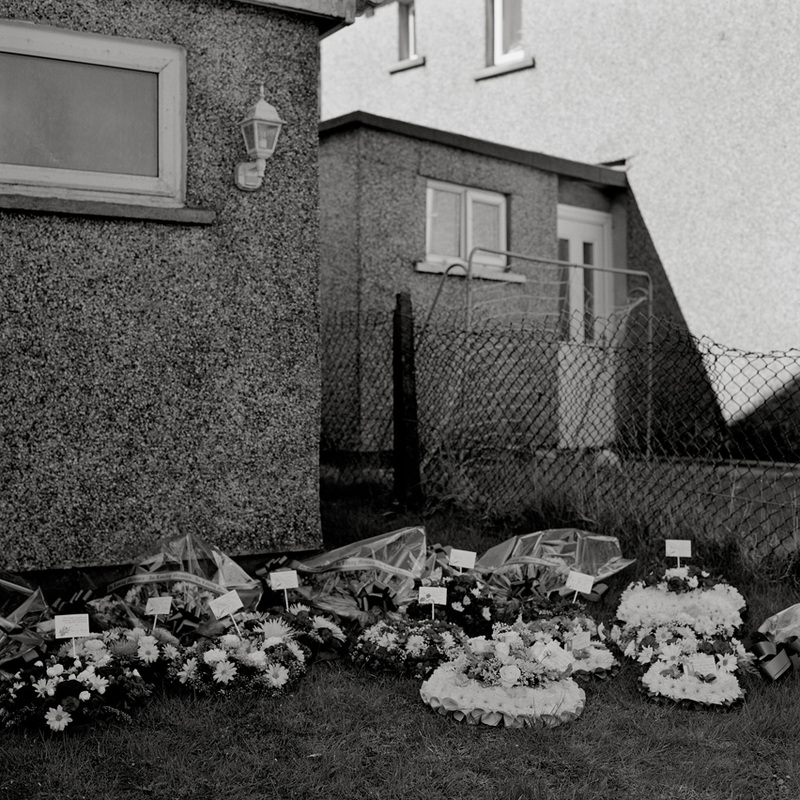 Floral tributes to the late miner Joseph "Glamo" Evans lay in the yard of his house in Maerdy, Rhonddha Valleys, prior to his funeral. 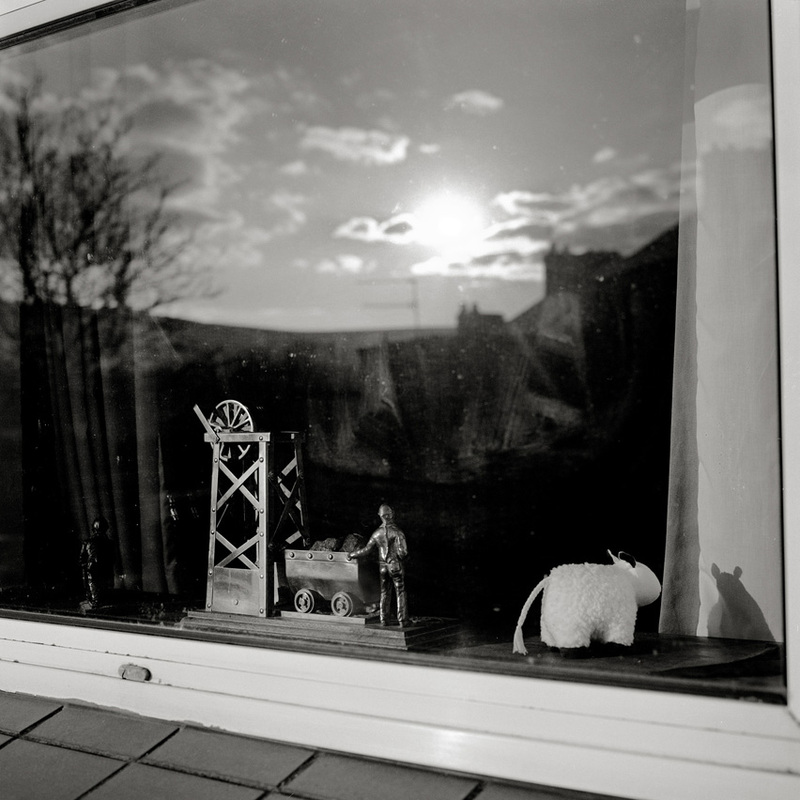 A winding mill miniature in a window front in Blaenavon. 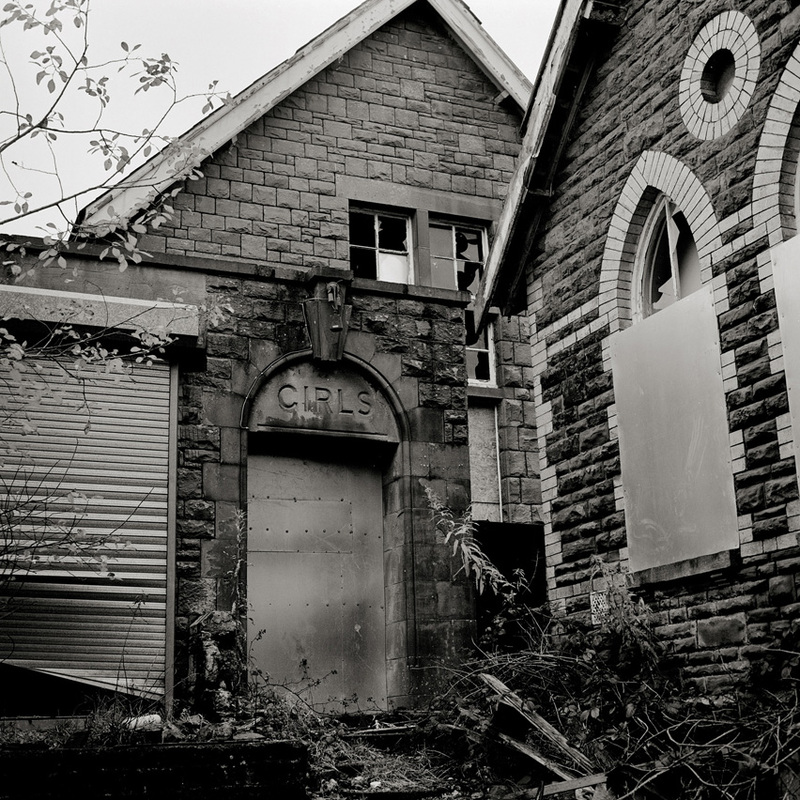 View on the abandoned former school in forge side village near Blaenavon, Wales. The village was once built for miners but severely hit by the recession coming with the closures. 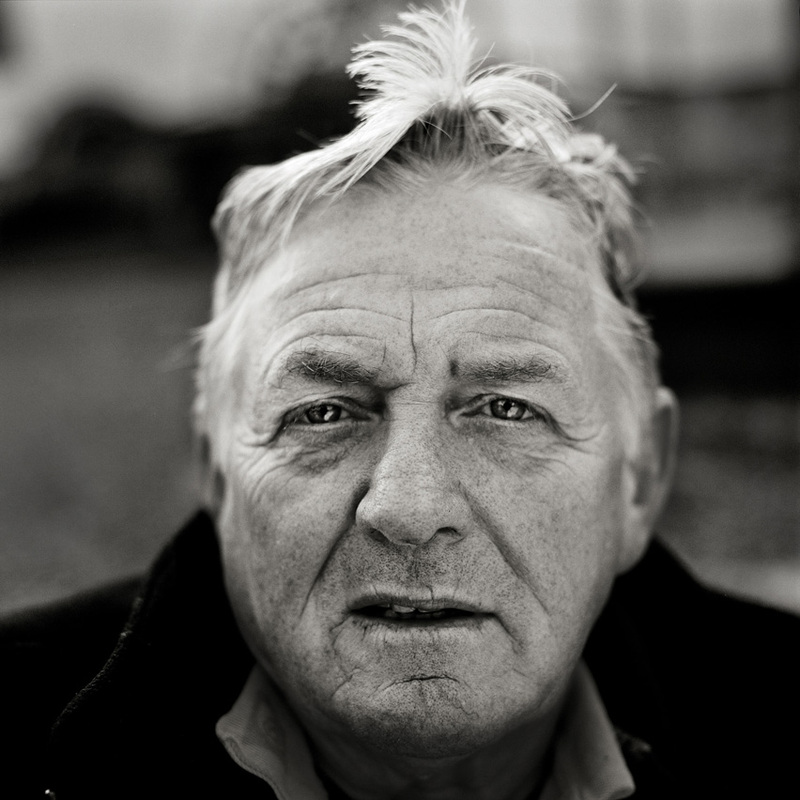 Peter Harding, nicknamed "Slate", a former miner, aged 55, poses for a portrait in Blaenavon, Wales. About the closures after 1985 he says "As a government you are there to support your people, not to cut off their legs.". 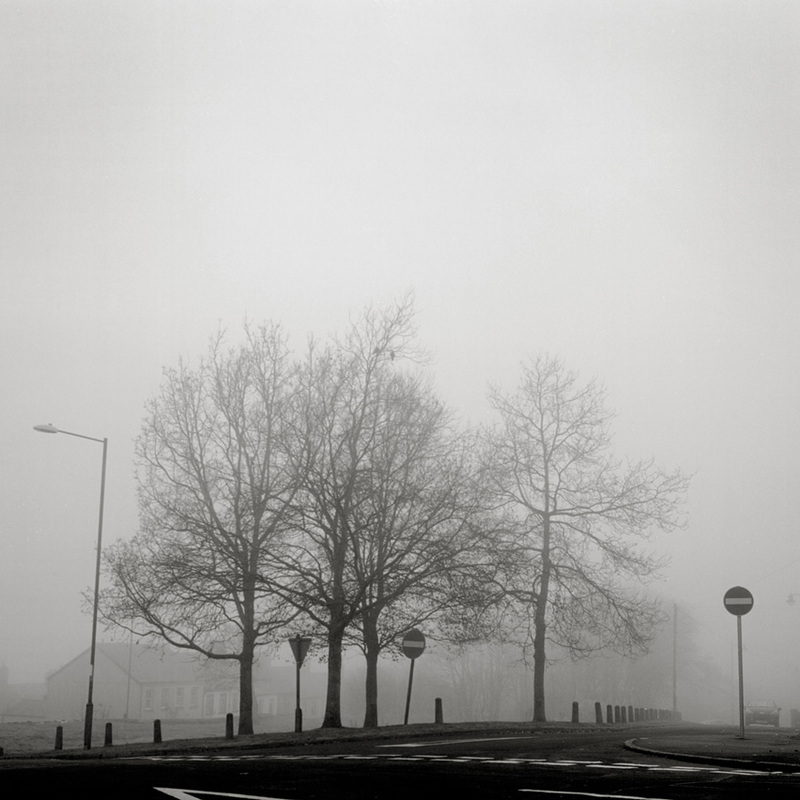 Misty atmosphere in Bleanavon, Wales. 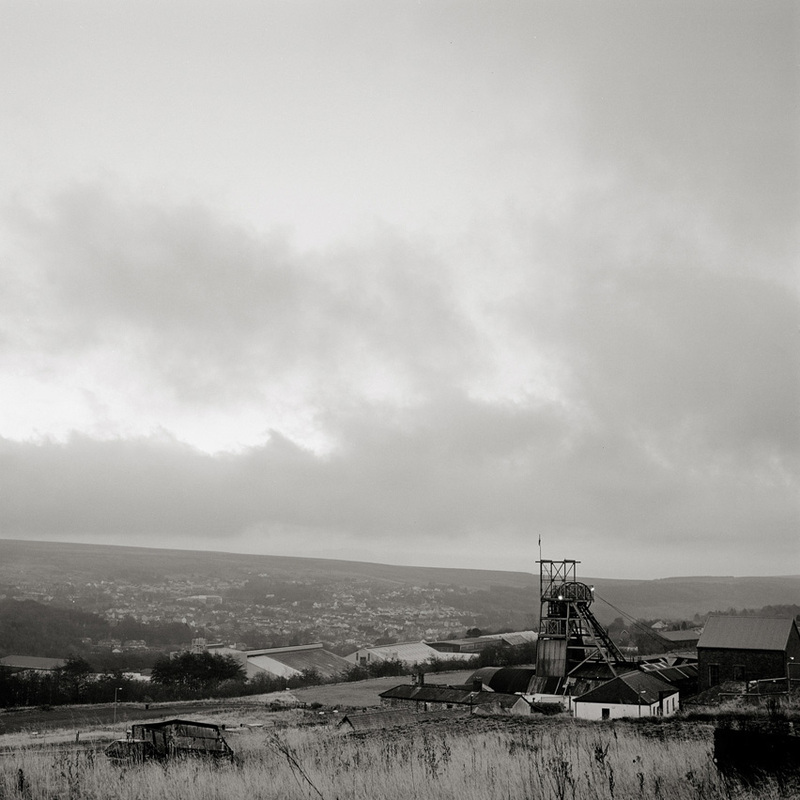 Once a mining hub in South Wales, now a negligible community. View on the slack heep of the Lady Windsor Colliery in Ynysybwl, Wales. The Colliery was closed down in 1988. 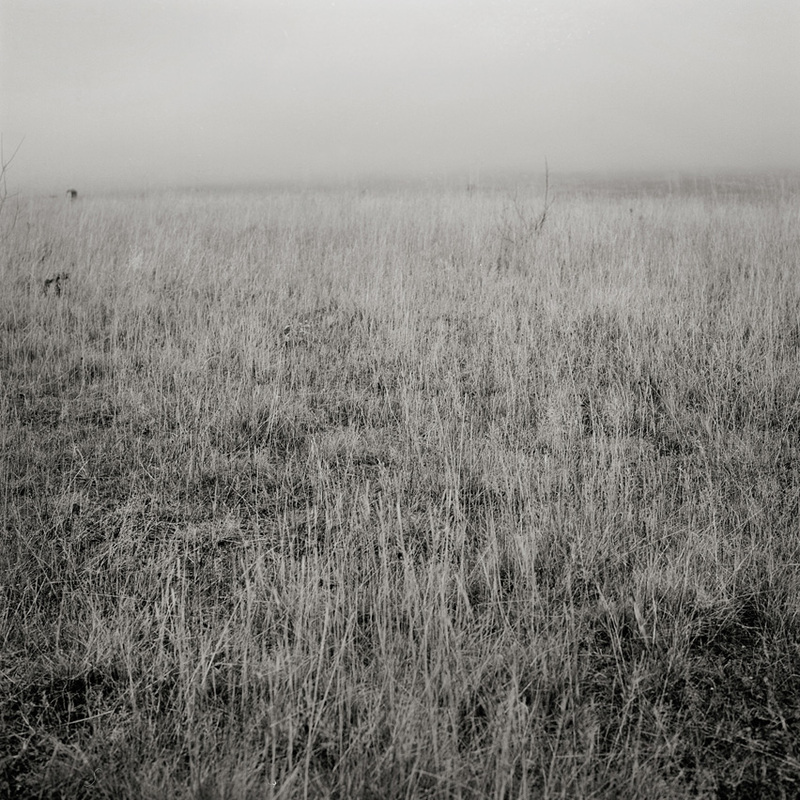 "The nature had no mercy, and rapidly took back everything" said Wayne Cadwallader, a former employee. 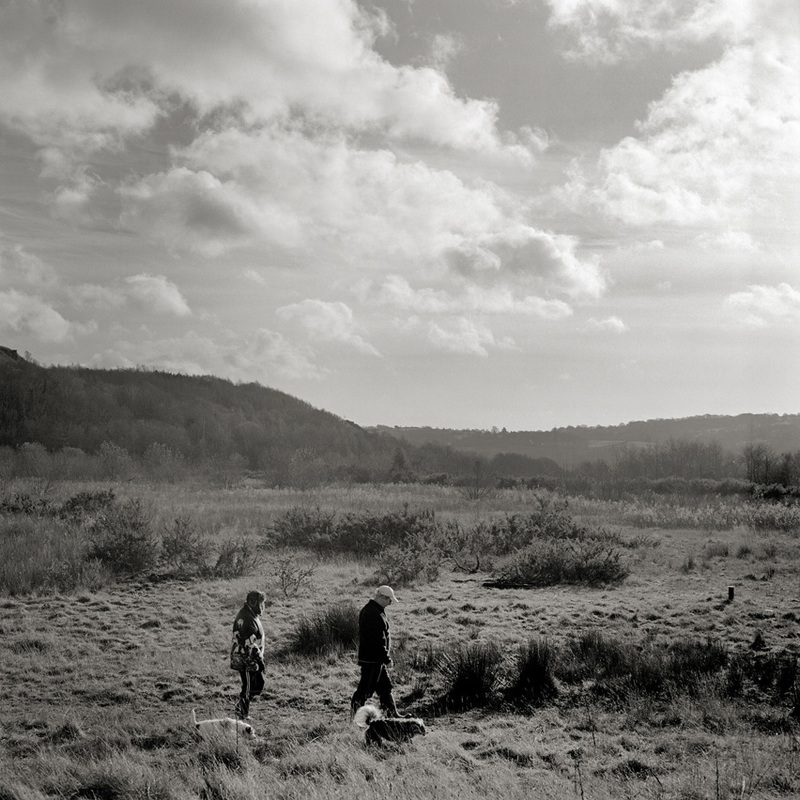 Residents of Ynysybwl, Wales walk with their dogs over the site of the former Lady Windsor Colliery, which was closed down in 1988. There is nothing left. View on a row of terraced houses in forge side village near Blaenavon, Wales. The village was once built for miners but severely hit by the recession coming with the closures. 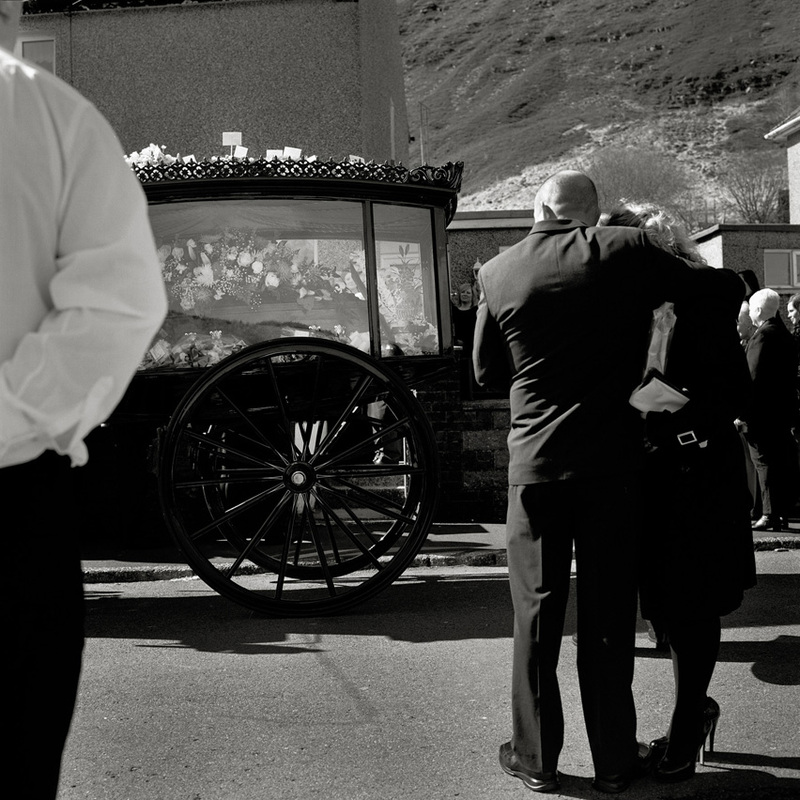 Family members of the former miner Joseph "Glamo" Evans, mourn while his funeral procession starts in Maerdy, Rhondda Valleys. 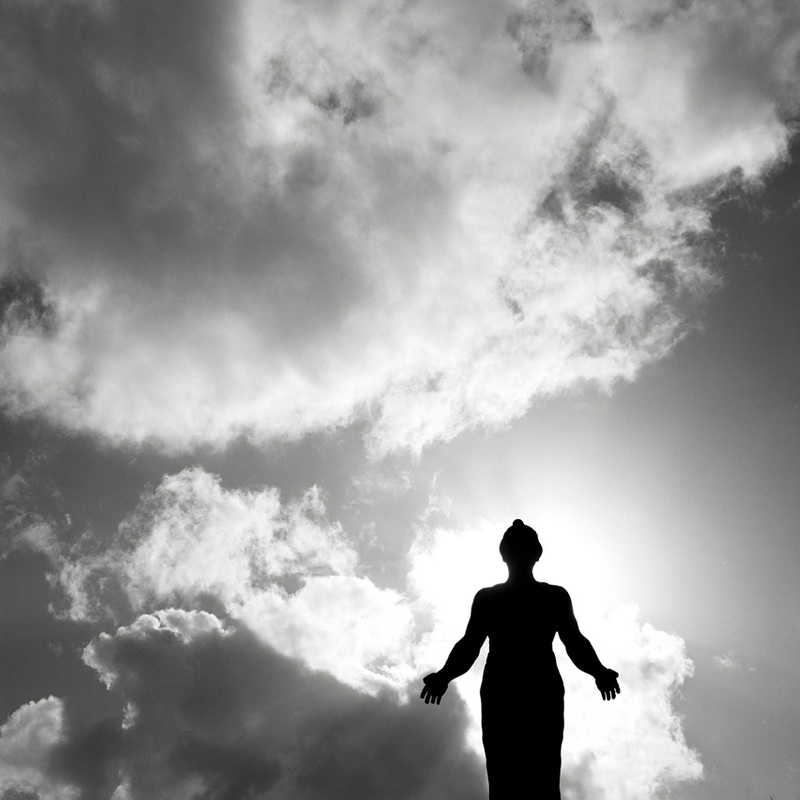 A 20 metres high statue rises into the sky at the site of "Six Bells" near Aberbeeg, a colliery which was closed in 1988. In 1960 a big explosion killed 45 men there. To their honour, on the occasion of the 50th anniversary of that disaster, this "Guardian of the Valleys" was errected next to the site of the former colliery in 2010. It is as well dedicated to those miners as to coal mining communities everywhere. The Pontypool and Bleanavon railway, once used to ship the coal extracted from the mines surrounding that area in Wales, is now a rarely visited tourist attraction. 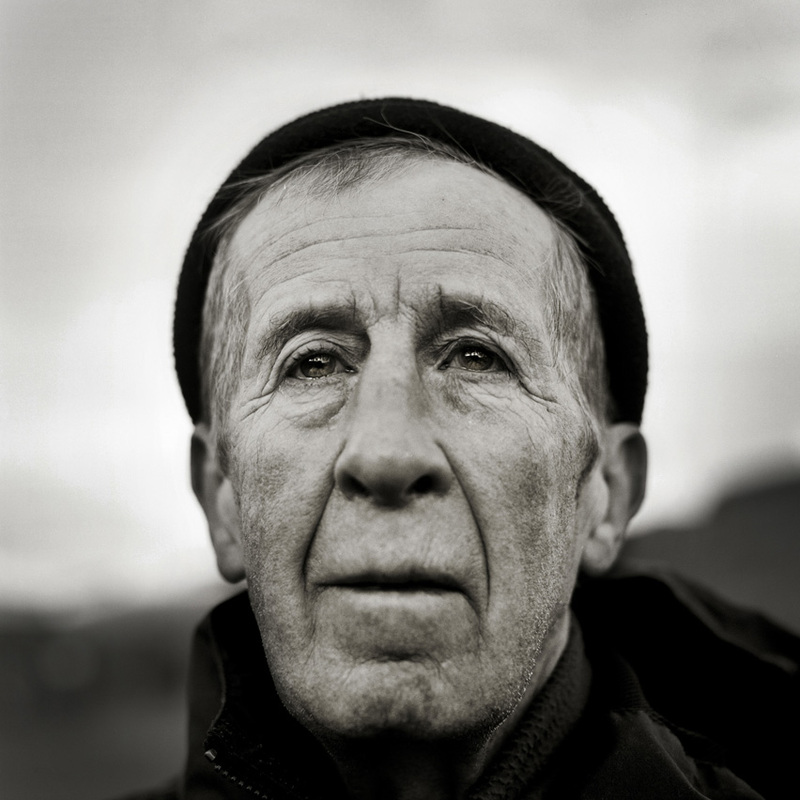 Alun Reas, a former miner, aged 64, poses for a portrait in Trehafod, Rhondda Valleys, Wales. 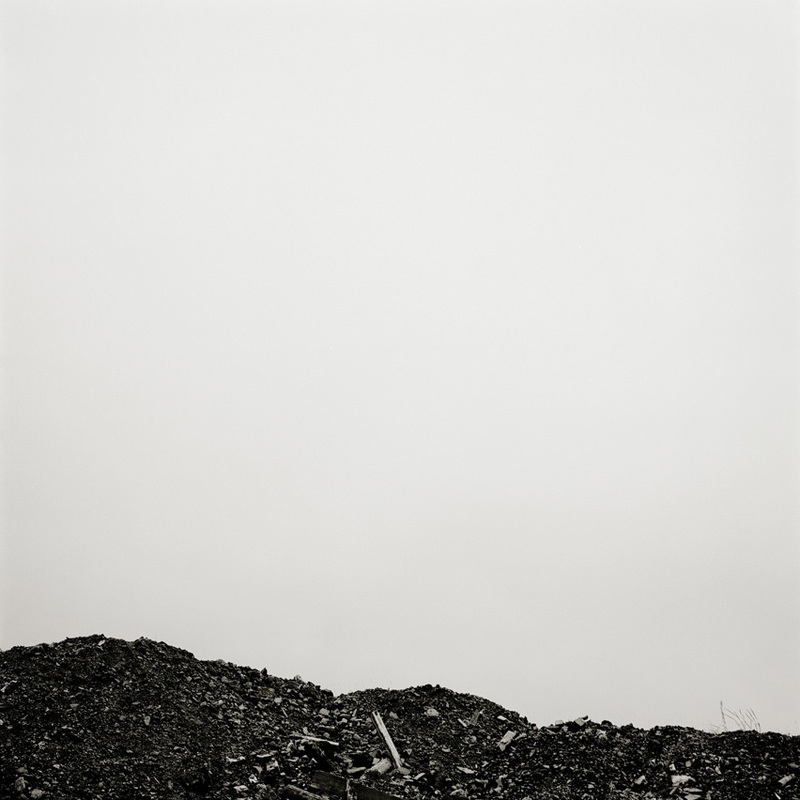 Remains of coal at the top of a slag heap, called Coity Tip, near Blaenavon, Wales. fiscally conservative policy of Thatcher’s government. held by those former shapers of the land. The miners.